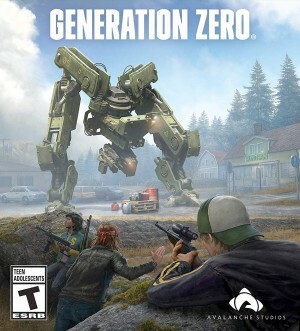 Where's Our Generation Zero Review? Avalanche's new sci-fi open-world romp is out today, but we need more time with it. Get a glimpse of the intense firefights you can expect from your new mechanical overlords. Avalanche's new co-op shooter is getting ready to invade consoles and PC this spring. Brian Shea shows us an early look at Avalanche's moody open-world shooter. You have a few more days to sign up to play Avalanche's open-world shooter. The studio's upcoming self-published project features an atmospheric robot apocalypse. The Just Cause developer's upcoming shooter continues to look promising. The opportunity to explore expansive freeform worlds remained a major trend at this year’s show. Check out some of the coolest open playspaces we saw over the course of the week. This co-op horror shooter from the makers of Just Cause has us more than a little intrigued. The Swedish studio is on a roll.